Identify the right Atlanta residential plumbing services for all of your plumbing needs. Did you know Atlanta residential plumbing services do more than just clear pipes? While clogged pipes remain a top reason to call out a plumber, these experts are capable of doing much more. Plumbers also specialize in a variety of household repairs. Knowing which services your local plumbing company provides is the best way to know who you need to call the next time you experience a plumbing problem. Only a licensed plumber has the necessary qualifications to complete work for you. In order for a plumber to become licensed as a journeyman or master plumber, they must complete years of training. In the Atlanta area, prospective plumbers must study under a master plumber and pass a comprehensive exam. There’s nothing more unappealing than the smell of backed up sewage. Damaged or burst sewage lines may cause wet, smelly patches in your basement or backyard. Although your nose will recognize there is a problem, you won’t be able to see it. Skilled plumbers know how to find the source of the problem. They have special tools to help them explore the sewage pipes, which hide beneath your home’s foundation. Once the problem is correctly identified, a plumber in Atlanta may choose to repair the line or completely replace it. Of course, repairs require less work, but if there is extensive damage, a total replacement may be the best solution. 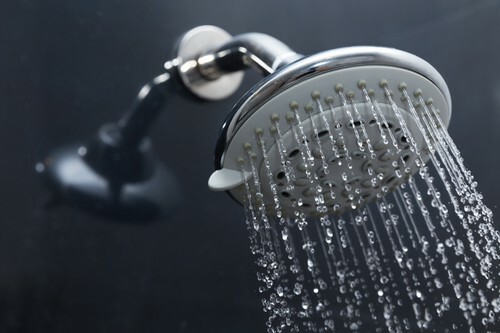 If you’ve ever experienced an ice-cold shower, you know how important it is to have a functional water heater. The right water heater will not only provide your home with plenty of hot water, but it will also reduce your energy bills. When it’s time to replace the water heater, you need to hire a licensed plumbing company to do it right. The best plumbing companies have the experience necessary to install many different types of water heaters. Traditional water heaters feature a tank that stores several gallons of preheated water. Tankless water heaters, on the other hand, produce hot water on demand. Talk with a plumber to determine which model is best for your home and water usage. If your toilet constantly runs, jiggling the handle won’t fix it, contrary to popular belief. While it may resolve the problem for the time being, your toilet will continue running until it’s repaired by a professional. Plumbers specialize in all types of toilet repair. 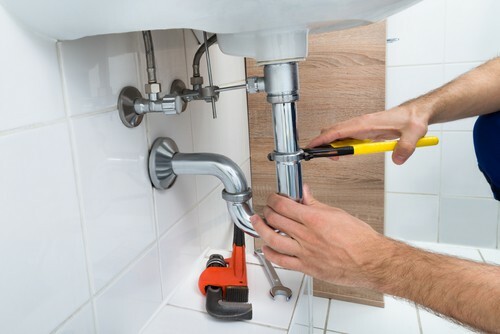 Whether there is a problem with the chain, flapper, or fill valve, a skilled plumber will fix it. They will bring the needed materials and tools to get the job done right. Although toilets last for many years, you may need to replace a toilet at some point. You may choose to replace your toilet during a bathroom remodel. Other homeowners want to conserve water, so they hire a plumber to install a low-flow toilet. After a professional plumber installs your new toilet, you can rest assured it will flush with ease. While you may think of it as a slight annoyance, a leaky faucet could end up costing you a fortune. A small drip wastes a lot of water over time. You’ll notice your water bill gradually rising until you address and fix the leak. Don’t put off fixing a leak. Professional plumbing companies in Atlanta are experts when it comes to faucet repair. Never try to fix a leaking faucet yourself. Chances are you won’t completely solve the problem, and you may end up making it worse. There are a lot of components to a faucet. You’ve got the spout, aerator, cartridge, O-ring, and escutcheon—and this is just a small sampling of parts! A plumber not only knows where to locate these complex parts, but they also know how to fix and replace them. If you want a leak to go away for good, always hire a plumber. All of these services require experience and skill to properly execute. Before beginning any work, the plumber will discuss the specs of your remodel. They will gather all of the tools, materials, and supplies needed. Hiring a plumber from the get-go will ensure you don’t overlook anything. Did someone put too many chicken bones down the garbage disposal? You don’t realize how important the garbage disposal is until it stops working. 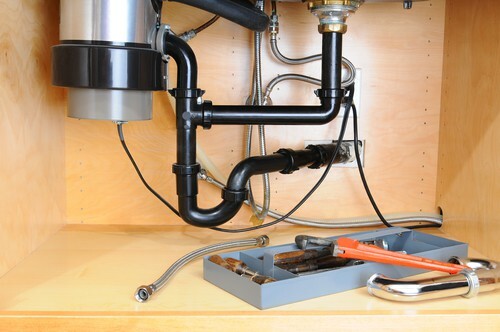 Many homeowners also don’t realize that plumbers repair and fix garbage disposals. Even though this appliance connects to the kitchen sink, people often forget that it involves water and pipes to operate. If your garbage disposal has a clog or is malfunctioning, a plumber will evaluate the situation and offer a solution. If a clog is to blame, the plumber will safely remove it. Never try to do this yourself, as it only takes one wrong move to lose a finger! A burned out motor, however, is often too costly to repair. Your plumber will most likely recommend investing in a new garbage disposal to save you money. In this instance, the plumber will disconnect the broken disposal and hook up the new one. One of the most advanced services offered by plumbing services is a complete home re-pipe. This service often becomes necessary if you routinely experience the same plumbing issues time and time again. Pipes wear out over time, and they may corrode or burst. During a re-pipe, a master plumber will remove all of the old pipes in your home. The plumber will then skillfully install new pipes. This is a long process, and it is costly. To prevent a re-pipe, keep up-to-date with regular plumbing maintenance. Older homes are more likely to need re-pipe. If you home has polybutylene pipes, take heed. These pipes are more likely to break. They’re commonly found in homes built in the early 1970s, 80s, and 90s. All it takes is a thorough inspection to determine if your home would benefit from new pipes. When inviting a worker inside your home, you only want to let in someone you can trust. The team at Morningside Plumbing is here to provide you with the most reliable plumbing services in town. For more than 50 years, we’ve been serving the residents of Atlanta. Your complete satisfaction is our goal, and we won’t leave until we resolve your plumbing problem for good. Honesty is always our policy here at Morningside Plumbing. We follow a code-of-ethics that we never abandon. You are never charged for work you don’t need, and we never inflate our prices. From routine maintenance to total re-pipes, our plumbers have the training and experience necessary to get your plumbing back in order. It’s our goal to build a long-lasting relationship with every client we serve. Many of our original customers still use our services to this day! Whether your washing machine is overflowing or a pipe burst under the kitchen sink, you can count on Morningside Plumbing to provide you with superior service. We’ll come out immediately and offer you a solution. We even provide 24/7 service whenever an emergency arises. Before you plunge your toilet for the tenth time today, click or call 404-873-1881 for our guaranteed Atlanta residential plumbing services.